Below are the current careers SERVPRO of Tracy has available at this time. 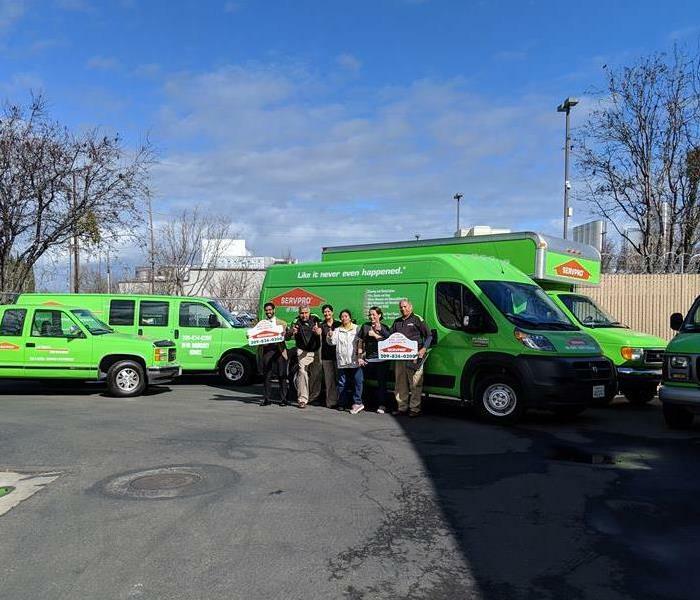 If you would like to apply to any of the open positions, please send your resume to randy@ServproTracy.com. Primary Role: Perform all office administrative tasks related to customer calls, job management and tracking, scheduling of jobs and customer satisfaction activities. Perform basic accounting duties relating to accounts receivable, accounts payable, payroll, and banking. Perform general office duties such as drafting correspondence, filing and creating reports. Results Expected: All administrative work is processed and documented accurately and timely. Customers, COIs (Center of Influence), Production Team, Marketing Reps/ Estimators and the Office Manager/Owner are communicated to in a timely and accurate manner. Customer satisfaction is maintained at a high level. Processing of accounts payable and receivables are current. All files and reports are maintained and provided as required. All administrative tasks are completed as assigned. Primary Role: Manage and complete jobs according to SERVPRO procedures per work order. Set up and establish efficient job flow, coordinate requirements for the job, complete job documentation, perform and supervise production work, and monitor assigned jobs from start to finish. Follow and enforce all safety procedures on the job site. Resolve problems quickly as they arise. Monitor all assigned jobs to ensure that customer needs are met. Perform sales and marketing activities including add-on sales and security checks. Communicate and establish relationships with commercial, insurance and residential customers. Clean and maintain vehicles, equipment, warehouse and office areas. Results Expected: Production processes are performed according to SERVPRO production guidelines. Job documentation is completed in a timely and accurate manner. Production costs are maintained at the established rate. Add-on sales are made to customers. Communications to Owner/Project Manager and customer are timely. Jobs are completed either meeting or exceeding customer expectations. Vehicles, equipment, and facilities remain clean and orderly. Primary Role: Manage the Franchise office team with all accounting and administrative activities. Manage all aspects of franchise accounting and reporting. Implement and adhere to accounting guidelines and reporting requirements. Ensure that all job files are properly audited and contain all required documentation. Develop and implement an annual office administration plan and budget, to automate and improve office productivity. Train and coach all office personal to efficiently perform all assigned tasks. Serve as the in house expert on utilizing Quick Books Pro®, ScanER XL®, ManagER®, and Microsoft Office. Manage and improve customer satisfaction including the resolution of customer complaints. Results Expected: The annual office plan is effectively executed, resulting in the efficient operation and appropriate support of all franchise functions. All accounting transactions are current and proper accounting procedures are followed. All reporting is accurate and timely. Customer files are audited and contain proper documentation. The franchise office team is competent and effective in all administrative tasks. Customer expectations are met or exceeded and all customer complaints are resolved quickly and as much as possible (feasible) to the satisfaction of the customer. 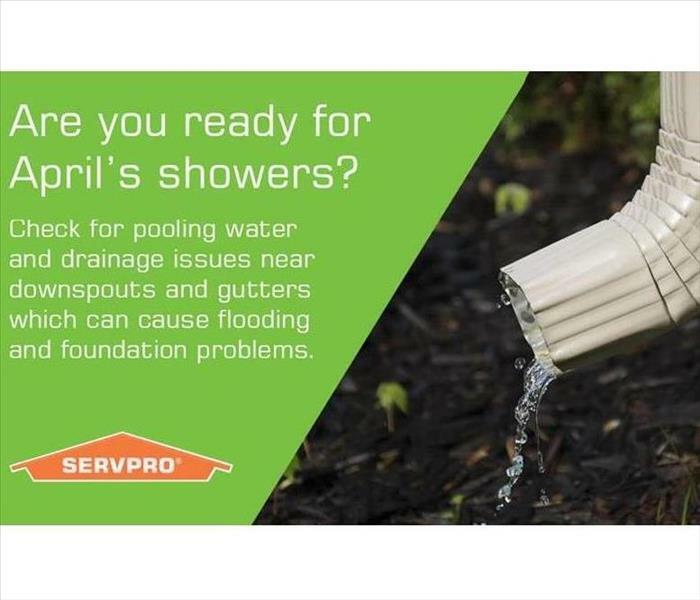 Are you Ready for April Showers?